Snapchat is a photo messaging application. Using the application, users can take photos, record videos, add text and drawings, and send them to a controlled list of recipients. Snapchat introduced a new group video chat feature, letting users chat with up to 16 people. It is also offering group voice calls with up to 32 participants. The feature is relatively simple. Just tap the video icon in a group chat to get started, or start up a call with a few people and invite new people to join. Alongside the introduction of group video calls, Snap is also bringing @mentions to the platform. 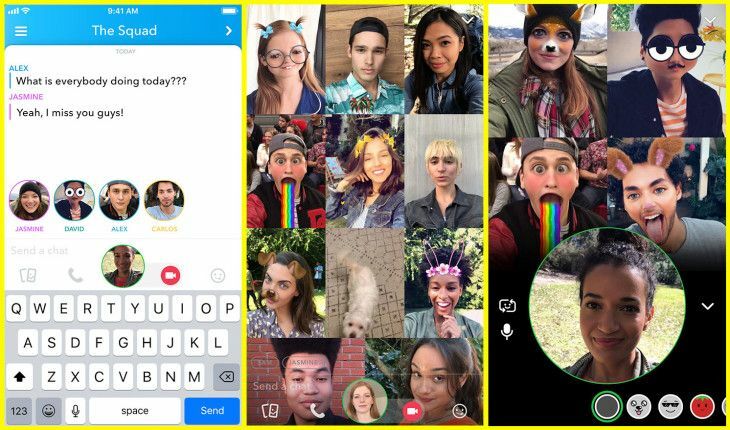 Users can now tag each other in their snaps and Stories by simply typing @ before their user name. Users who have been tagged will be notified when they appear in the Stories.